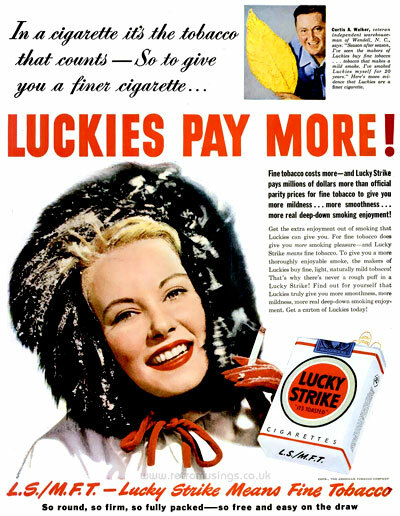 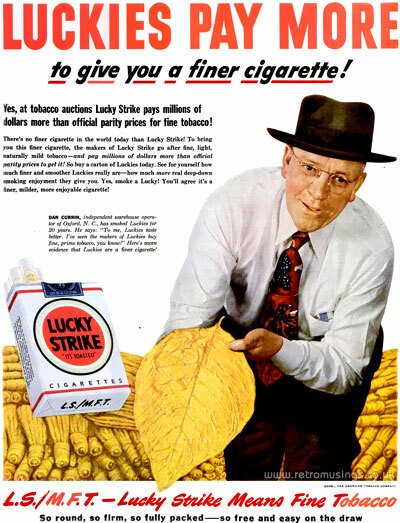 These ads for Lucky Strike cigarettes date from 1949-50. 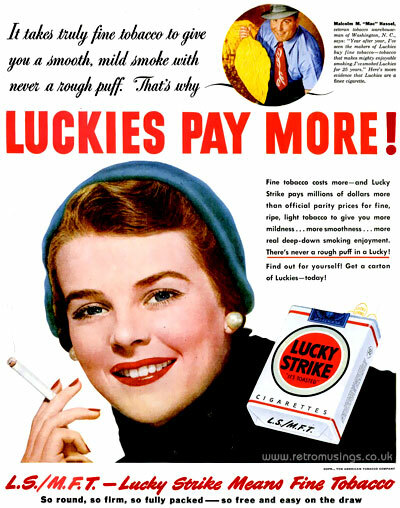 The first few ads featured a variety of tobacco experts (as per their previous campaigns), and the later ones featured young women smoking whilst wearing cold-weather fashions. 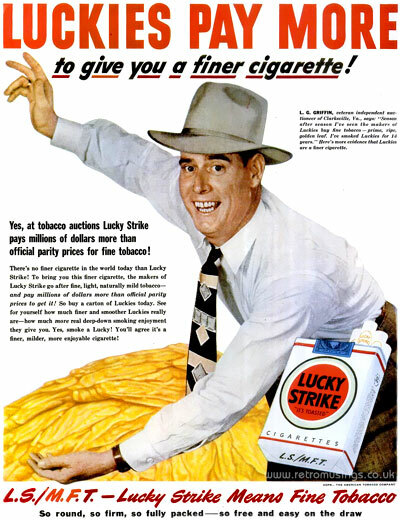 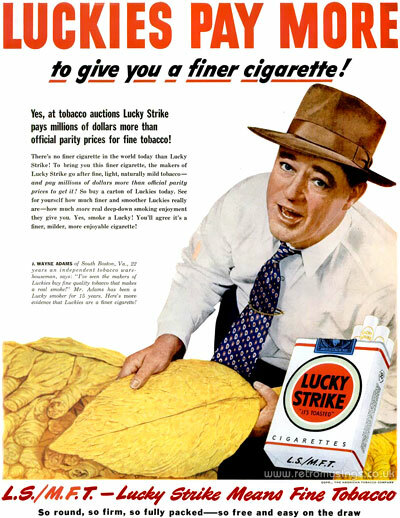 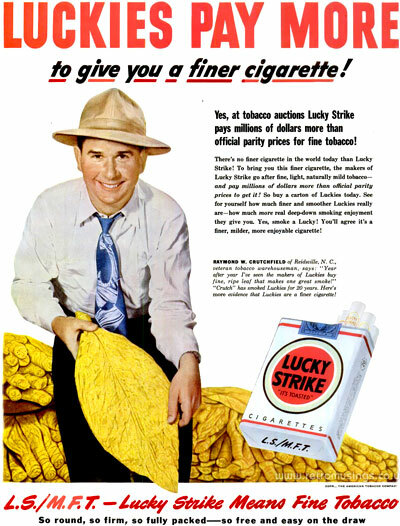 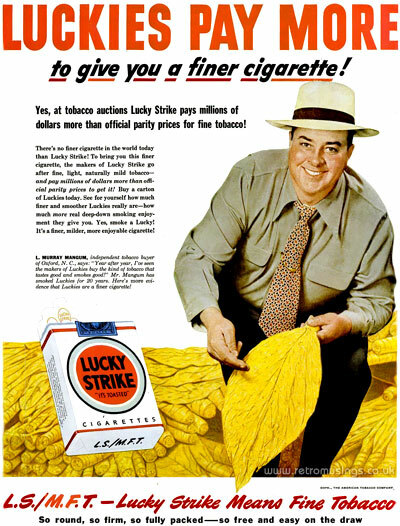 Lucky Strike Cigarette Adverts ~ No Thanks!